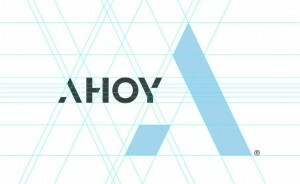 Ahoy in Manchester has undergone a complete rebrand as it underlines its new direction as a fully integrated digital and design company. Its reworked logo uses a bespoke typeface, integrating a large, abstract A, which it will use as a mirror to reflect the colour, photography or identity of the agency’s clients. ‘‘This is an exciting time for the agency, and we wanted to stand out by developing a mark and website that not only reflects our attitude towards bold, individual and dynamic design but also puts our clients at the centre of everything we do,” explained managing director, Mark Stringer. Stringer also revealed that it has added 2 members of staff to its team, to work on front-end development, mobile and ecommerce. It means the agency will now offer .NET and PHP development in-house.